Hope my reviews are helping you to find out right products for yourself. This is going to be another lipstick review. Its from Maybelline color show range. I know this has been launched months back and now Maybelline has Re launched it again. 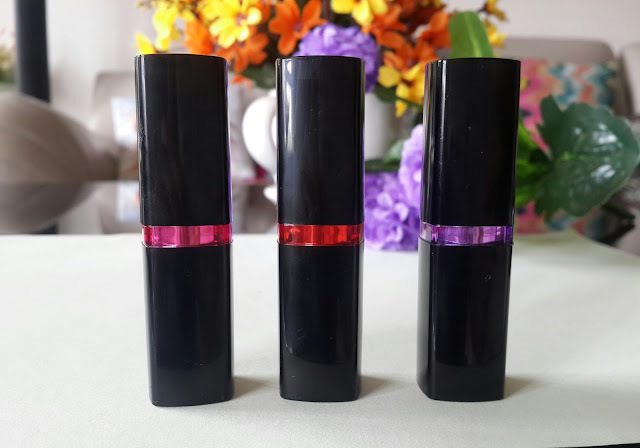 I don’t know why they have relaunched it but I thought of getting this 3 beautiful shades from their range of 32 vivid shades. 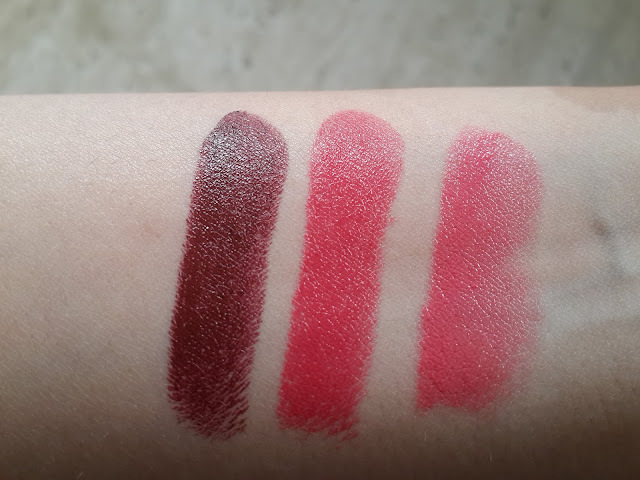 This 3 shades are candy crush, crushed candy and wine divine. This lipsticks are again most affording ones. They come in black plastic tube opaque packaging with shade name written on bottom. The cap shuts with click sound and its travel friendly. Intense Fashionable Lip Color. Maybelline Color Show Lipstick is a fashionable intense lipstick, which comes in chic to vivid shades. Maybelline Color Show Lipstick is highly pigmented giving bold lips. This lipsticks are super moisturizing and glide smoothly on lips. 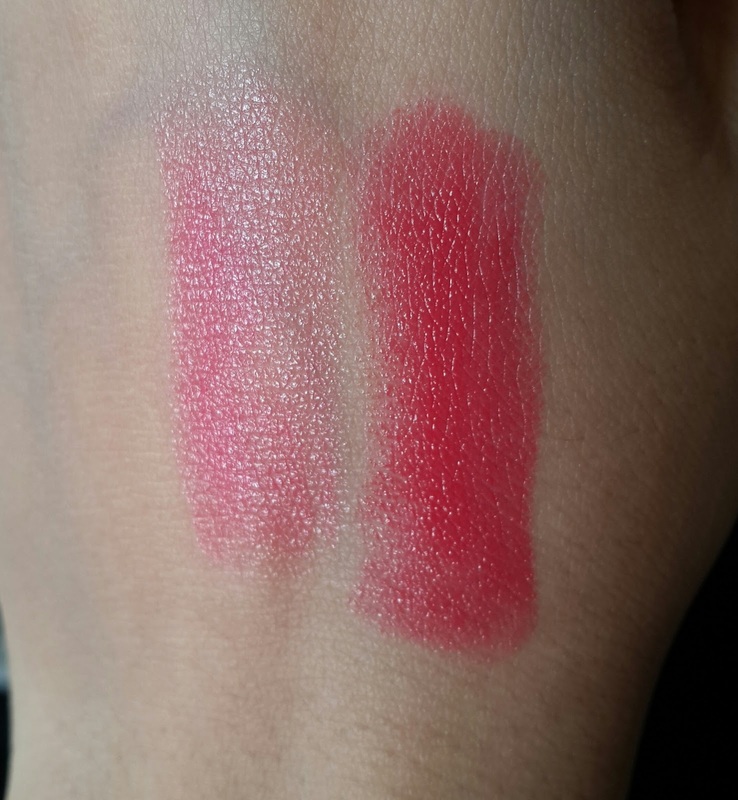 Very well pigmented and feels light on lips. The texture is soft buttery giving even application. They don’t smudge or smear. It does no give complete opacity light colors are bit sheer. They give glossy finish and are transferrable. All lipsticks smell like sweet candy which is quite pleasing. You may need 3-4 swipes to build the color. If you have pigmented lips I wouldn’t suggest this lipsticks as they do not give completely opaque lips. 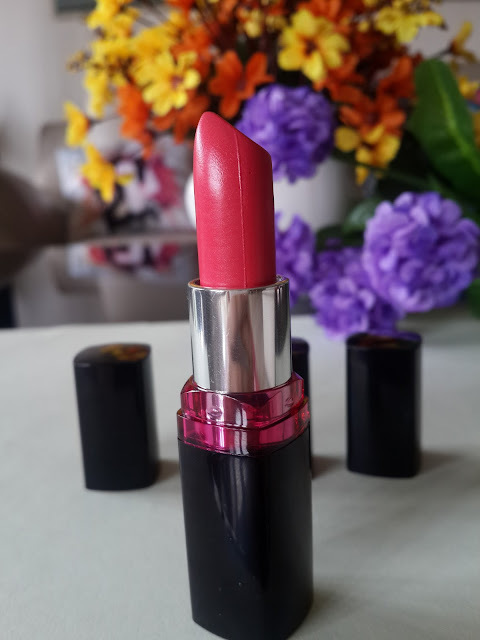 This lipstick does not give dry feeling to lips after application they don’t settle in fine lines and lip creases. If you lips are dark and chapped do exfoliate before using this lipsticks. Staying power is for 3 hrs as they are quite glossy finish it doesn’t last long it barely leaves a tint of color. The only con I felt was I wish this lipsticks were more pigmented and opaque. So that it would give a flawless finish to lips. Overall the shades are really amazing you get lot of options to choose from. I liked how reasonably they are priced. But the packaging does not attract me at all they don’t look like other Maybelline lipsticks. I am not so impressed with the formula too. 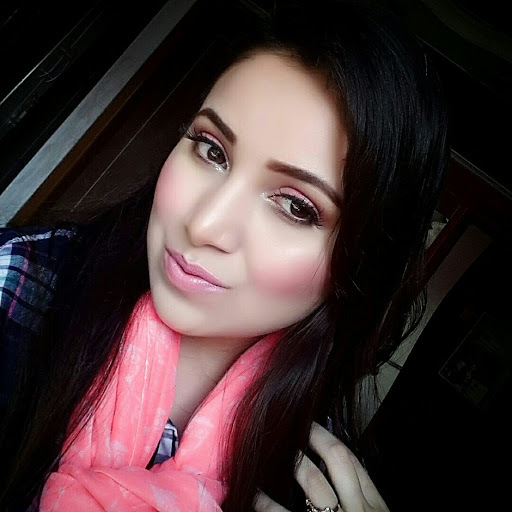 Crushed candy is pink color having sheen its light shade an so will mostly suit only fair skin tones. It has got some very fine shimmer particles which gives sheen effect to pink color. 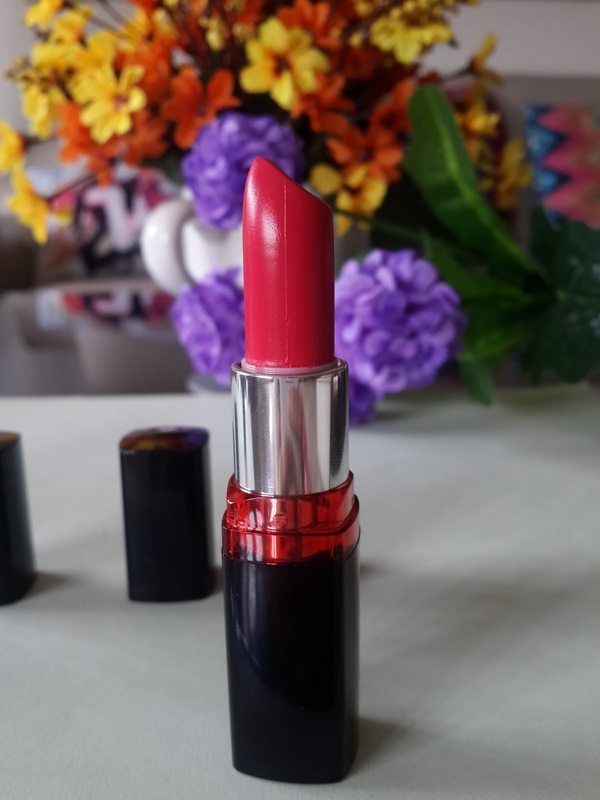 Cherry crush it’s a perfect cherry color having some coral tones but quite sheer suitable for all skin tones. This fade away leaving a pink tint to lips. Wine divine Haven’t bought such colour in long time. 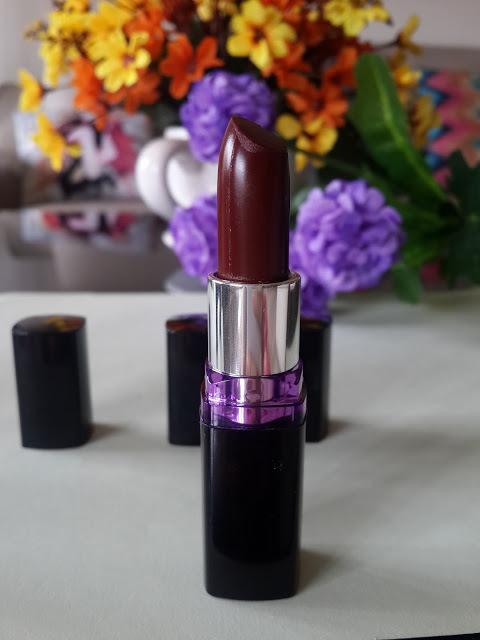 It’s a dark bold pretty wine shade having more of brown tones. Suitable for all skin tones. This one can be used by pigmented lips too. As it is rich in pigmentation. No doubt they are super hydrating to lips. Overall recommended colors are really good and are very affordable. Maybelline is one of the best affording drugstore brands so quality is definitely good. If you have pigmented lips try to choose darker shades as they are more pigmented than the lighter ones. 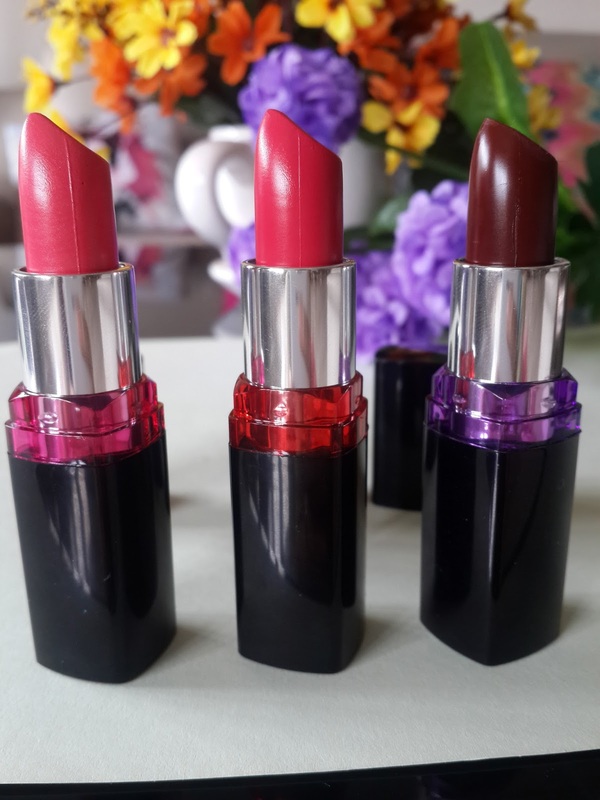 Have you tried maybelline color show lipsticks which one is your favourite shade?